Thinking about adding safety grab bars, a raised toilet seat or other modifications to prevent falls in your home? 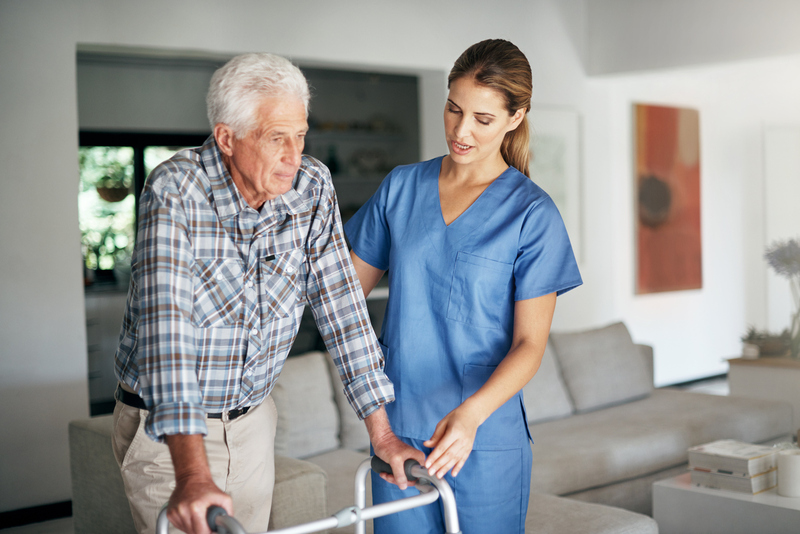 Our physical therapist provides free home safety assessments, and will make clinically guided fall prevention recommendations, as well as create a customized plan to fit your individual needs. We follow up with clinically guided installation of all of our fall prevention home safety products. Purchasing what you need is only half the solution, knowing what you need, where it should be placed based on your health, environment and other factors is critical. Home Safety Assessments for fall prevention should be your first step in preventing falls in your home. Our clinically guided solutions will ensure you and your loved ones can navigate your home environment safely and with confidence. Visit our Home Safety Solutions page to learn about the products and services we provide and install (we are licensed, bonded and insured), to help you prevent falls in your home. We offer a variety of fall prevention solutions such as safety grab bars, bath safety products such as shower chairs, transfer chairs and benches, handheld showers, and non-slip treatment for floors, tub and shower and custom railing and ramps.